This is a Free Hand Holding A4 Notebook Mockup which is great for showcasing your notebook cover design, hardcover book cover design or magazine cover designs etc in a photorealistic manner. It can also be used by photographer, graphic artist etc for displaying book cover design in a unique way. It features professional looking photorealistic book mockup that can give your presentation a professional and elegant appearance. 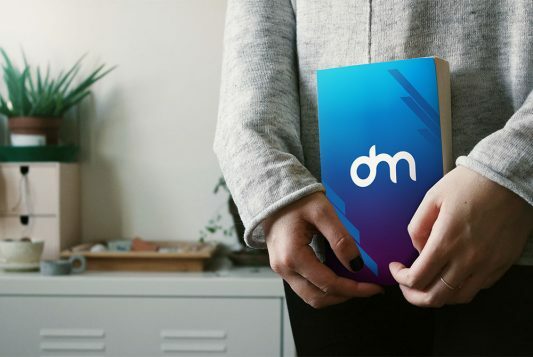 Using this book cover mockup, you can instantly deliver your project to your client and give them an idea of how the final print will look like. You can easily change the book color and add your custom hardcover book cover artwork using the smart layer in just a few clicks. Just open the Hand Holding A4 Notebook Mockup file and double-click on the book cover Smart Object Layer you wish to change. Simply add your design in the smart layer and Save. Now you’re all ready to present the book cover design in style. 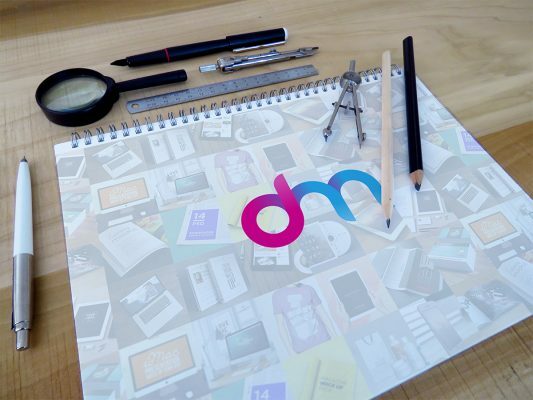 Hope you find this Hand Holding A4 Notebook Mockup useful. Enjoy! 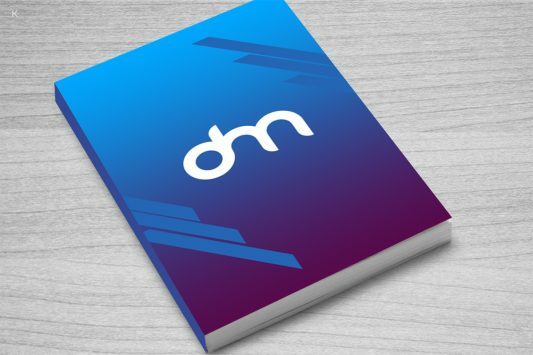 Download Free Spiral Notebook Mockup. With this Free Mockup PSD Show your Spiral Notebook design in style. You can create a realistic Spiral Notebook display in few seconds. 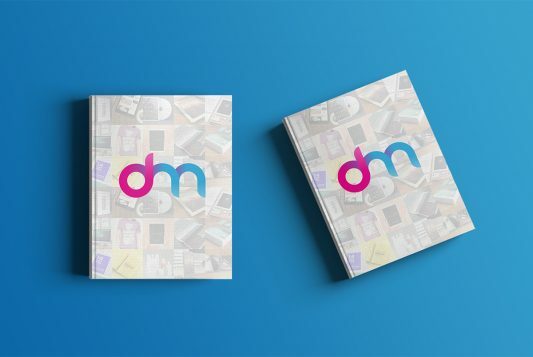 This Notebook Mockup Free PSD can be use by designers for showcasing notebook cover design for selling online. 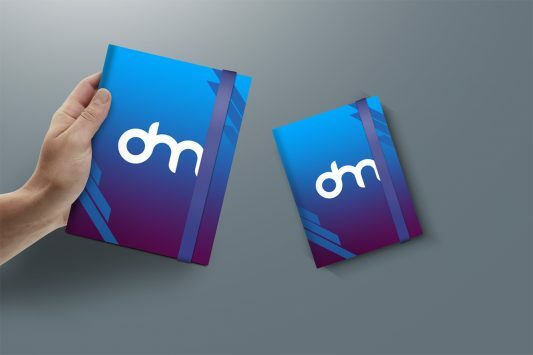 Spiral Notebook Mockup is created to help you display your graphic design projects in photorealistic way. This mockup is all you need to get great results and impress your clients. 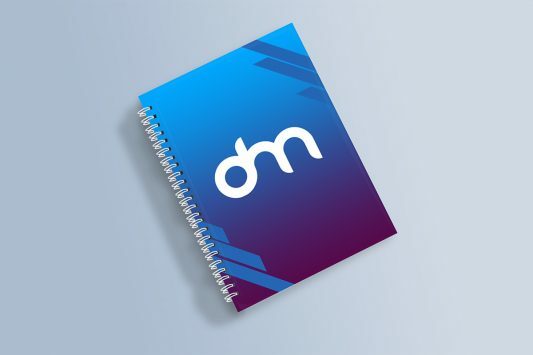 This Spiral Notebook Mockup file uses the Smart-Object feature, so you can replace the mockup content easily and quickly. You just need to double-click the Smart-Object, paste your artwork, save, and you’re done. Hope you like this Free Spiral Notebook Mockup. Enjoy! Download Free Sketchbook Mockup PSD. This is awesome Sketchbook mockup which is perfect for designer, illustrator and artist to showcase their portfolio to clients.This Free Sketchbook Mockup will also help you present your artwork, sketches or typographic designs in a photorealistic manner. Sketchbook Mockup is created in adobe photoshop and it is designed based on smart objects so that you can easily replace your artwork and designs inside the smart object layer and it will be added to main mockup template instantly. So download this Sketchbook Mockup PSD and create wonderful & realistic presentations of you sketch and log design with just a few clicks and a matter of seconds. Hope you like it. Enjoy! 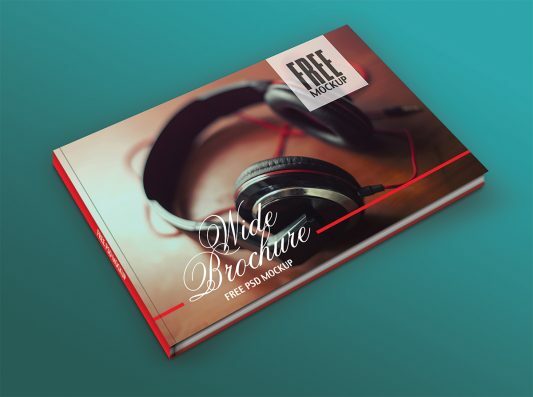 Download Free Hardcover Book Mockup PSD. This is free hardcover book mockup which let you showcase your book cover print layout and designs in a photorealistic manner. Using this Hardcover book mockup you can instantly showcase your book cover design to your client and give them an idea how the final print will look like before actual print. You can easily change the book color and add your custom hardcover book artwork using smart layer in just few clicks. 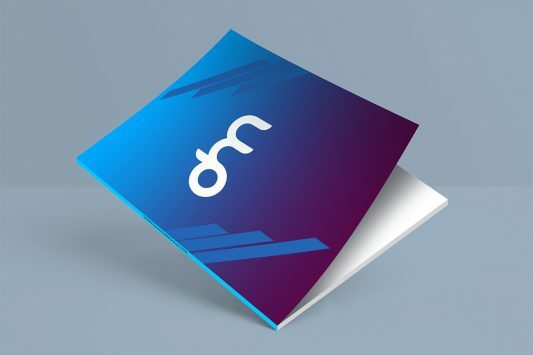 Just open the Hardcover Book Mockup PSD and double-click on the hardcover book page Smart Object Layer you wish to change. Simply add your design in the smart layer and Save. Now you’re all ready to present the hardcover book design in style. Hope you like it. Enjoy! Download Photo Book Cover Mockup PSD. This is a professionally designed wide photo book mockup, which can be used for creating presentations by photographer, graphic artist etc. It features professional looking photorealistic book mockup that can give your presentation a soft and elegant appearance. Using this wide photo book, you can instantly deliver your project to your client and give them an idea how the final print will look like. You can easily change the book color and add your custom hardcover book artwork using smart layer in just few clicks. 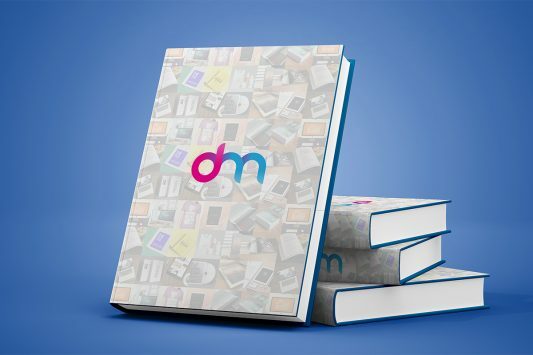 Just open the Photo Book Mockup PSD file and double-click on the book cover Smart Object Layer you wish to change. Simply add your design in the smart layer and Save. Now you’re all ready to present the photo book design in style. Hope you like it. Enjoy!